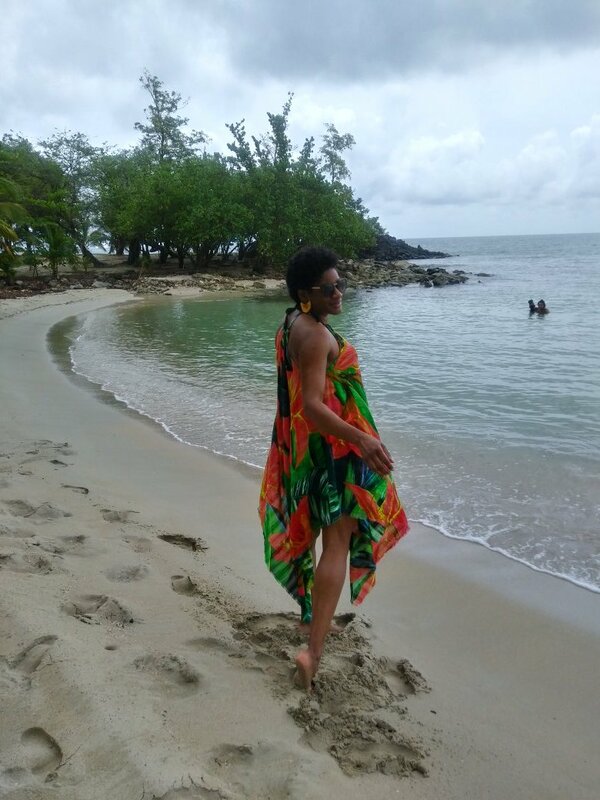 From sunny Martinique: Bonjour, Bel Bonjou!! Yes I am on holiday! 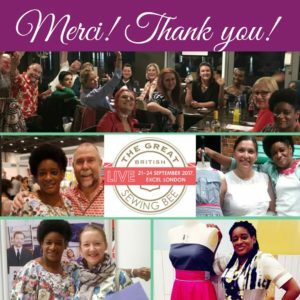 I haven’t been away for 2 years and I figured out that between The Great British Sewing Bee Live in September and my fashion show on October 28th was a good time. GBSB Live was great fun and I cannot thank you all enough for your support: followers, Bees and TV viewers. The kind words, the feedback, inspiration, the tips and energy… I have bottled it all. It is precious. 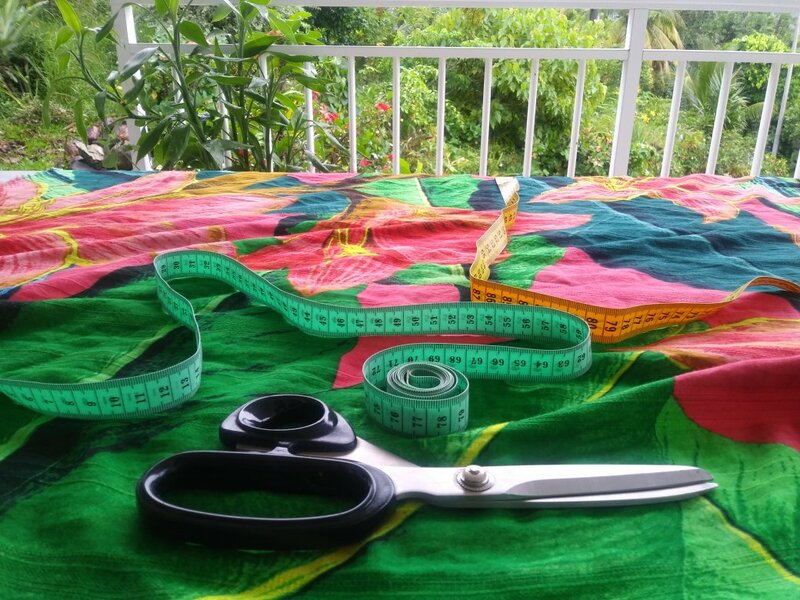 While I am away I am preparing my next project: “Creole fabrics: A fashion show” and sewing my holiday wardrobe, literally on location – With mum by my side, on her “vintage” (it’s not old she says) sewing machine. In the next 2 weeks I’ll take you on my Caribbean holiday. 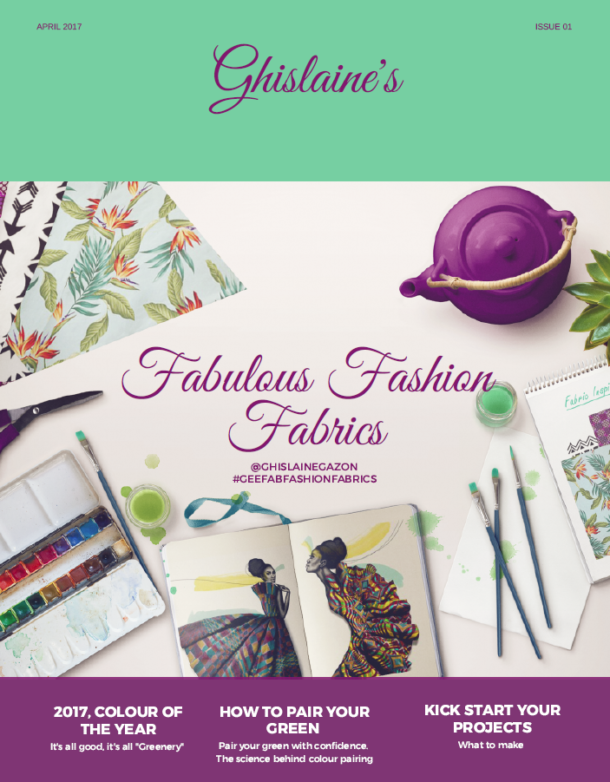 We’ll go fabric shopping, visit tropîcal gardens, meet talented friends and family crafters and sewers. 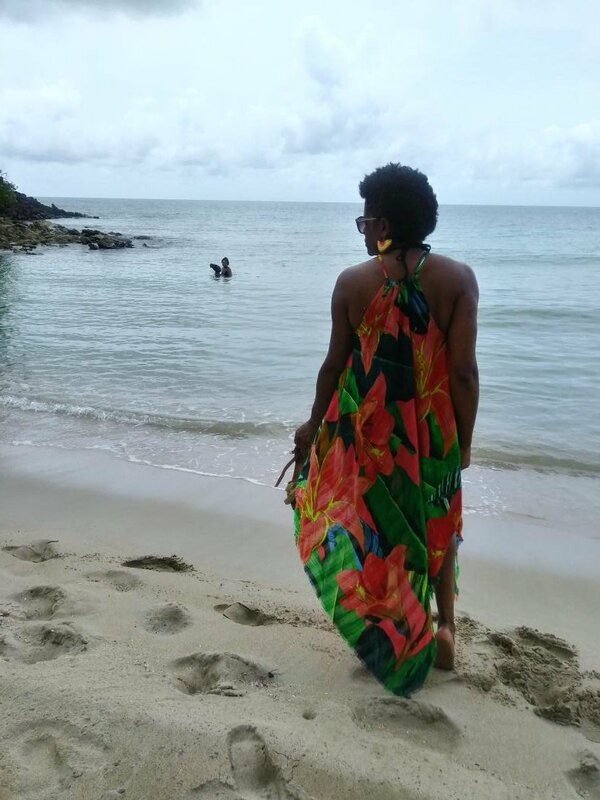 First stop: the beach with my beach cover up made from a Zara scarf. 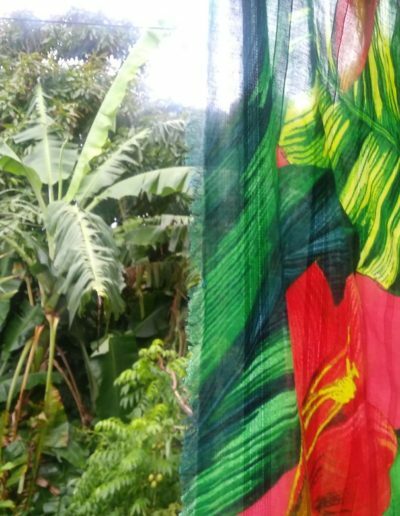 For me a scarf was wasting the beauty of the print. It had to be fully shown. 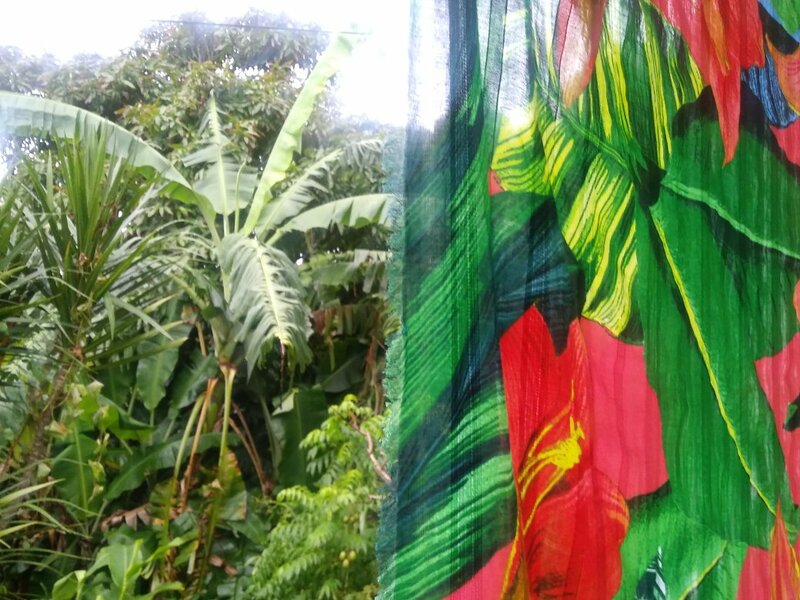 I tried to find the time to cut and sew it before I went away but I gave up and figure out that sewing it in tropical surrounding would be more inspiring anyway. I landed on Wednesday 27th, I was cutting it the next morning, on the patio. I won’t go into the technicality of it. 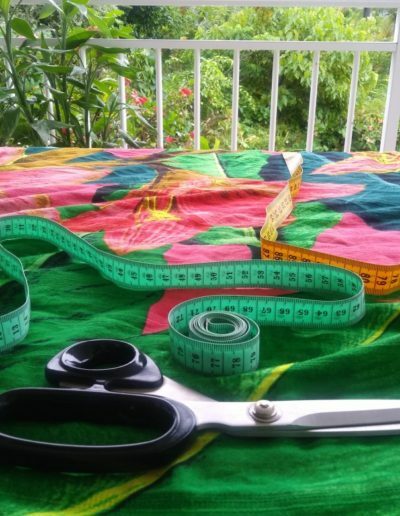 It is free hand cut and the entire scarf was used, in the bias. If you want to know how I made it do get in touch. I am more than happy to give you my instructions. The result is great for day and night beach, cocktail hour and even strolling through town. I had so many compliments when I went into town! Was it the colours? The cut? the cheeky short sides? Who knows! 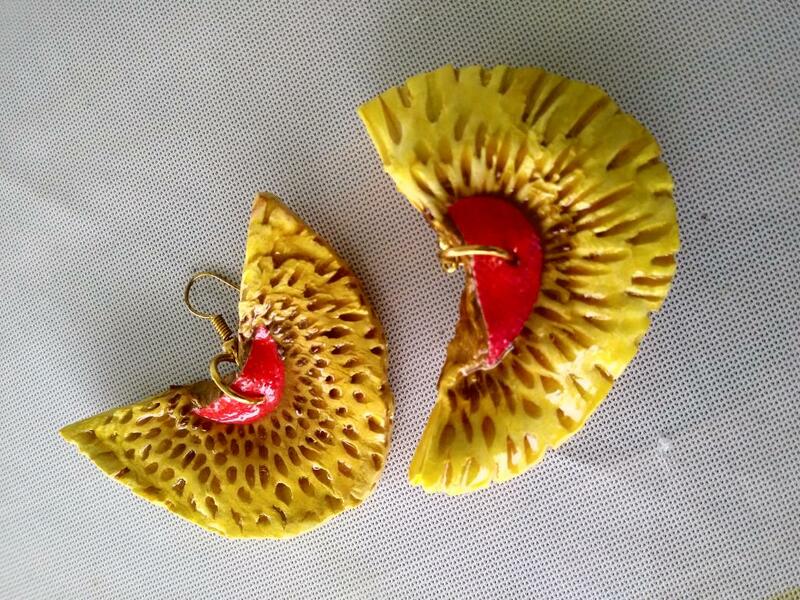 I wore my dress with gold sandals and very unusual jewellery made out of breadfruit. 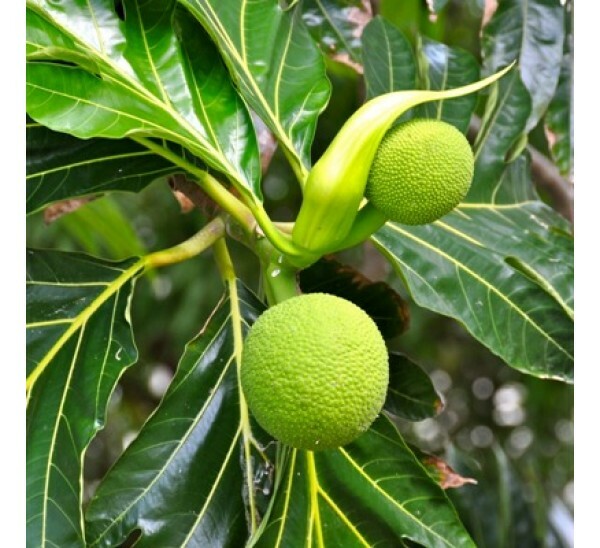 It grows on a tree but hasa potato texture and composition when cooked. 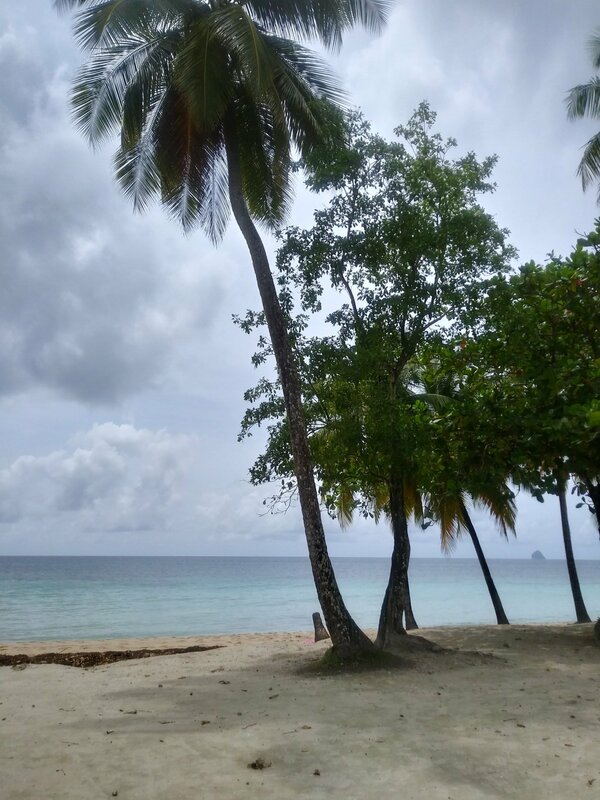 Photos were taken at Anse Figuier beach, south of the island. I spent many summers as a kid chasing crabs with my cousins on this beach. 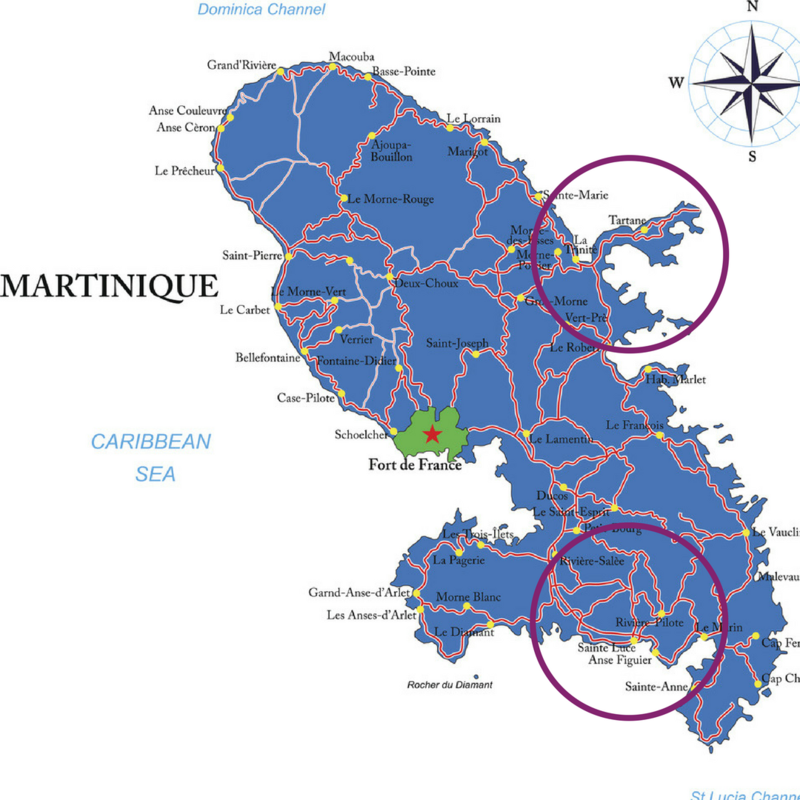 To place Martinique, it is south of Dominica, north of St Lucia. 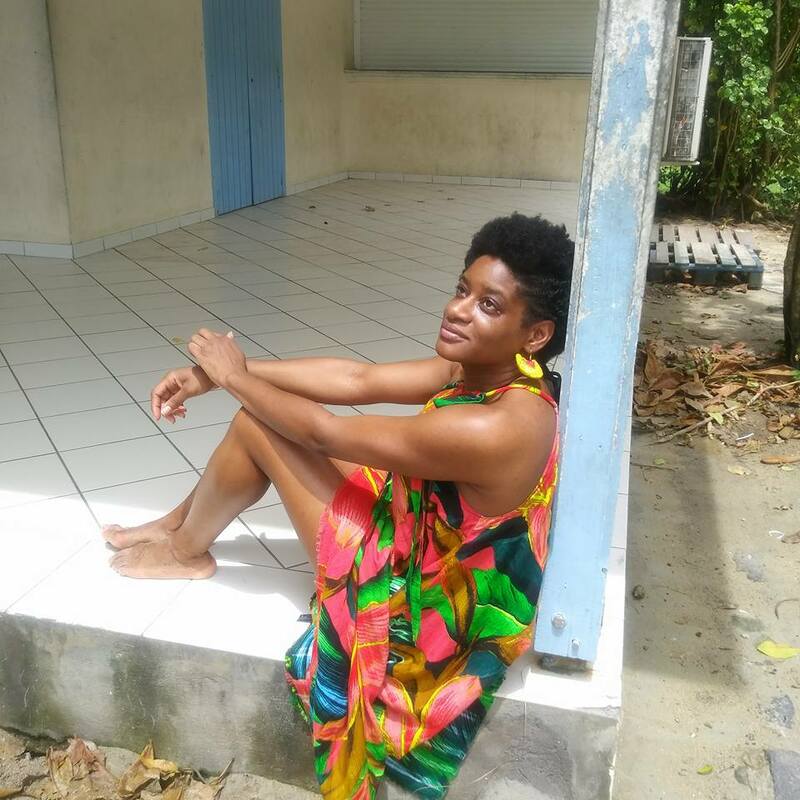 Has rougly 400 000 inhabitans and is very French with Euros for currency and Macron president, wine and cheese yet very caribbean, with chilli and rum and zouk love music. What’s your favorite scarf and how do you wear it?